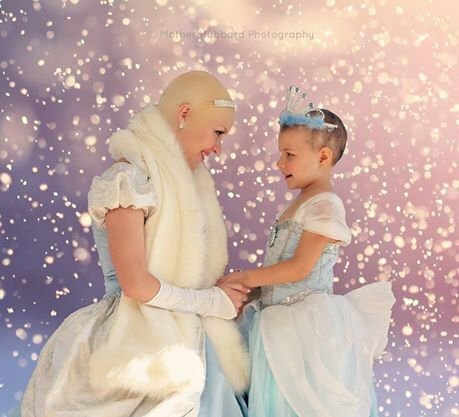 A bald Cinderella made this young cancer patient's day. The beautiful reason that this Cinderella impersonator is completely bald. Five-year-old Isabella Harvey, who has battled leukaemia for almost three years, was embarrassed about her hair loss. That is, until she got the chance to meet a bald Cinderella who looked beautiful and magical, just like her. Photo via Mother Hubbard Photography. Isabella’s mother, Pina, realised her daughter was self-conscious about her baldness and made contact with Gianna Nicole’s Heart of Hope, an organisation that works with the families of children living with cancer. Together, they came up with the idea of organising a photo shoot with a difference to help Isabella. 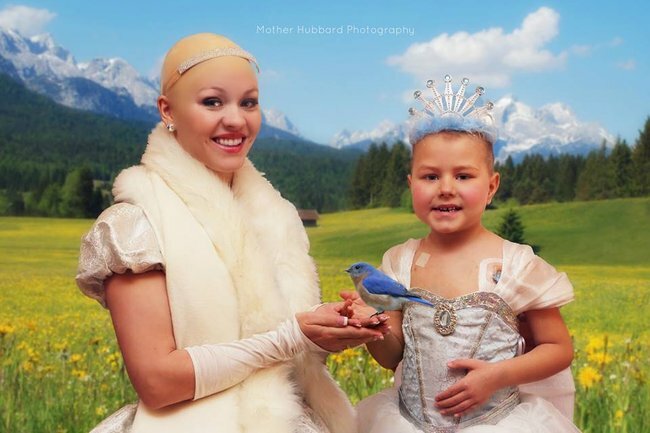 The little girl got to dress up as a princess for a day and pose for a series of professional photos with her idol Cinderella, who also happened to be bald. 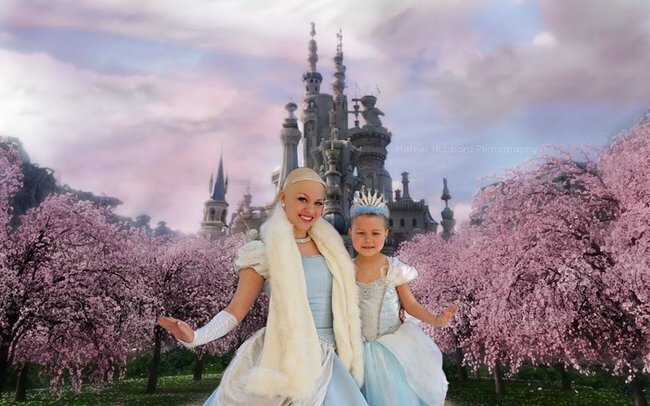 Photographer Alana Hubbard, of Mother Hubbard Photography, asked the woman playing Cinderella, Chelsea Knutson, to wear a bald cap for the shoot. “Isabella’s leukaemia came out of remission worse than ever and she lost all of her hair again and was devastated. She thought she was no longer a princess because she didn’t look like them anymore, so we arranged for her favourite princess to wear a bald wig. When she arrived she did not want to take her hat off for the photos until she saw our special bald princess. Her reaction was so emotional and happy everyone in the room teared up. She took her hat off immediately and said, ” Wow she looks just like me!” And in a split moment, she transformed from an insecure and shy little girl into a confident and ecstatic princess”. The result? A photo series as beautiful as it is touching. And if this doesn’t get you right in the feels, nothing will. Isabella Harvey&apos;s princess photo shoot.